Portable LED Lighted Makeup Mirror Vanity Compact Make Up Pocket mirrors Vanity Cosmetic hand Mirror 10X Magnifying Glasses New. Makeup mirror with LED light and storage box design.HD Mirror with triple-folding to adjust the angle when making up. Storage box for jewelry and cosmetics storage. -Double-sided mirror: 1X & 10X makeup mirror. A 10X magnifying mirror is for magnifying the fine details of your face, so you can put on exquisite makeup. 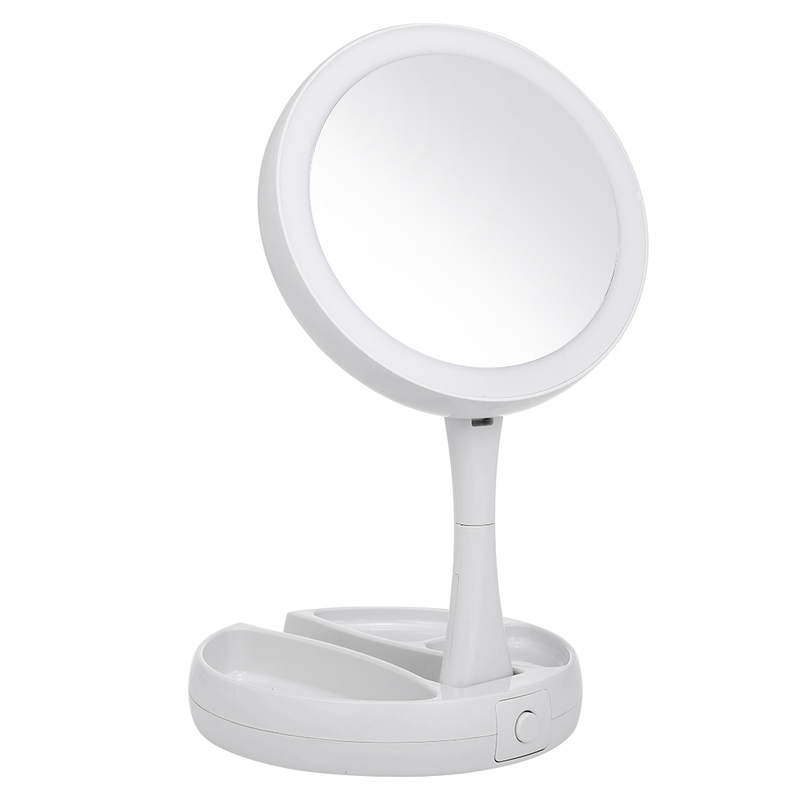 -LED light: LED light makeup mirror, give you a more delicate makeup. Provide light in dark place, satisfy your need for a light at any time. -Folding design & Storage case: Folding design is easy to carry and can save place. Storage box is for jewelry and cosmetics storage. -Adjustable angle: Standing steadily rotation allows you to adjust to any angle, let you see every view you want. -Double charging: Powered by 4 * AA batteries(Not included) or USB charging cable(included). Note 1: There is a protective film on the mirror, please tear it off before use. Note 2: The 4 * AA batteries are not included. better than expected, very satisfied with purchase. One side of mirror is regular and another zooms. Very happy and quickly recieved.